Character Hooded Bath Wraps only $7.67! 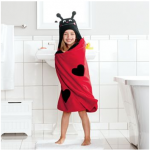 You are here: Home / Uncategorized / Character Hooded Bath Wraps only $7.67! 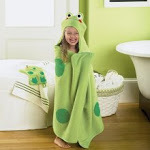 Kohl’s has a GREAT deal on these character hooded bath wraps! Get them for just $7.67 after stacked discount codes! 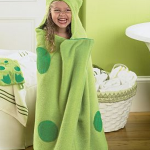 My kids loved these Jumping Beans Bath Wraps when they were younger! The others are all just $7.99 after coupon. They’ve got pirates, princesses, animals, and more! 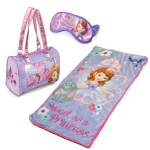 Choose from Mickey Mouse, Minnie Mouse, Olaf, The Little Mermaid, Sofia the First, Elsa, Darth Vader, Yoda, Disney Princesses, and more! PLUS, you’ll earn $15 in Kohl’s cash for every $50 you spend and you’ll get free shipping when you spend $25 or more! Kohl’s Cyber Week Sales have started! Jumping Beans Hooded Towels only $6.62! 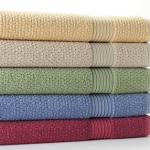 Croft & Barrow Quick Drying Bleach Friendly Bath Towels only $2.12! 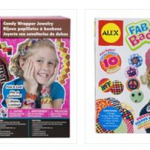 Jumping Beans Animal Bath Wraps just $9.59 shipped! Kohl’s Cyber Week Free Shipping Offers ending TONIGHT!